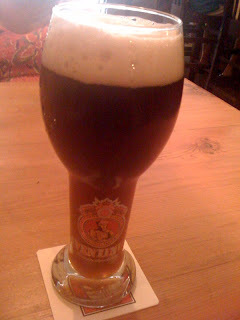 Philly Food and Beer: Brauhaus Schmitz (South Philadelphia) - German Food and Beer! A highlight of the eateries in the Philadelphia area, along with the Philly suburbs and beyond. The focus is on (but certainly not limited to)the best Cheesesteaks, Pizza, Wings, Beer, and other food offered within the Philadelphia area. This journey will uncover the best regional foods and drinks. I rate foods based on my own rating system. Who makes the best Cheesesteak aka cheese steak in the Philadelphia area? Best pizza? Wings? Regional Food? Beer selection? 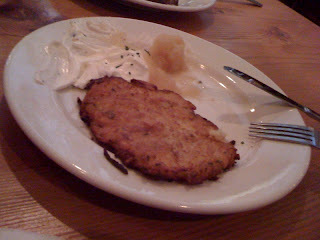 Brauhaus Schmitz (South Philadelphia) - German Food and Beer! Brahaus Schmitz is nestled right on South Street in South Philly. It rose from the ashes of another local German destination's demise, Ludwig's Garten. In fact, owner, Doug Hager spent time behind the bar at Ludwig's during their heyday. 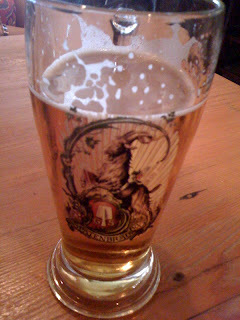 This place does everything right in terms of traditional German fare and all German style brews. During any of the international soccer matches, this place is party central and the crowd becomes engaged with the games. Above, you'll see see the Kartoffelpuffer, or potato pancake that's served with chunky applesauce and sour cream. Really good stuff. To the right is Spaten Maibock, which is a limited treat that is only ever found on draft. 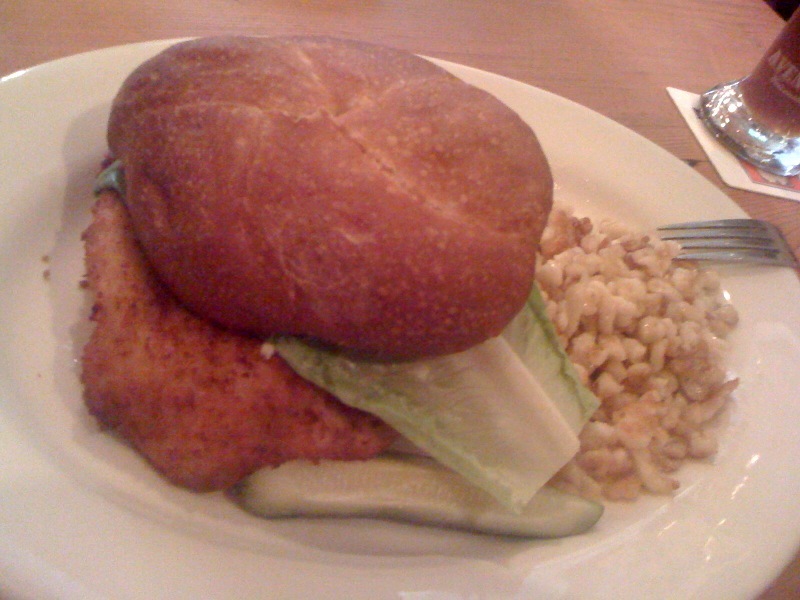 Below, is the schnitzel sandwich, which I had with some spaetzle. A tasty meal that I'll continue to come back to. a tall glass of Aventinus. Find this site helpful? Contribute a few bucks! All applicable matter contained herein/hereafter may not be reproduced, in any format, without obtaining prior expressed written consent from the author(s) of www.phillyfoodandbeer.com. Use of confusingly similar or disparaging names, logos, slogans, graphic images or textual content(including the food rating system) is a violation of the author's intellectual property rights. The author of this blog disclaims any and all responsibility or liability for the accuracy, content, completeness, legality, reliability, or operability or availability of information or material displayed in any and all of http://www.phillyfoodandbeer.com/. http://www.phillyfoodandbeer.com/ displays listings of establishments and product images, including, but not limited to, names, addresses, phone numbers, Web site links and digital images. Said materials are displayed for educational and informational purposes. The author of this blog claims zero liability, or responsibility for any services/products provided through links via this site.